Does your business lawyer understand your business? Pascale Henn started Business Law Advisors, LLC as a non-traditional law firm. 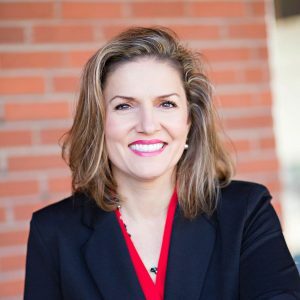 After practicing more than 20 years in-house with public and private companies, she established BLA using an in-house model – fully understanding a client’s business to better align legal strategy with business goals. Pascale admires the passion and hard work of business founders and entrepreneurs and believes that legal counsel should demonstrate that same dedication to its clients. BLA provides practical legal advice tailored to your priorities, your resources and your risk tolerance philosophy. Because our lawyers have extensive in-house experience, they understand customer service, and they’ll always focus on your business objectives. "Whenever I need guidance, my first call is to Pascale. With her help, we have grown our business in sales and efficiencies, and I know we are in the best legal hands we could be in." David Barnes	CFO, Tallgrass Freight, Co.
Our team is committed to ethical legal and business practices and to the respectful treatment of diverse opinions and those who hold them. You deserve smart lawyers, but our team of lawyers are also “business smart,” and clients leverage our real-world experience to their advantage. The BLA brand of smart includes creativity and providing our clients with multiple options on the toughest issues. Nothing is worse than legal advice that’s impossible to follow. BLA lawyers have been at the table with your C-suite as well as, salespeople, software developers, product engineers and HR specialists. We understand front-line business leaders need practical legal solutions that work in the warehouse or during a pitch to a customer – not just in an ivory tower. Your business can’t afford to deliver poor customer service, and lawyers shouldn’t be any different. As former in-house counsel, BLA lawyers have all been clients of big firms and know what it feels like when you talk to voice mail more than your lawyer or when it takes a week to get a response. When you can’t wait for answers, we’ll be there to answer your call. Our Approach – Our model is built on client relationships and trust rather than just closing transactions or putting out fires. We earn that trust by understanding your company and your people and by making sure our lawyers protect your business without causing delay and distraction. With BLA, you can count on candid, straightforward advice, a balanced approach to risk versus reward, and receiving the most value for your legal dollars. Not Just Lawyers – Beyond giving legal advice, BLA lawyers are business people. We’ve run businesses, met budgets and managed initiatives. We know the challenge of rolling out a new compliance program with an old IT system. And we’ve been there after closing an acquisition to handle the much harder work of integrating two distinct organizations. Our experience in the trenches makes us better prepared to be there with you as you face challenges and exploit opportunities. We Don’t Give Legal Advice in a Vacuum – Legal issues impact multiple areas within your business. For example, legal recommendations to your sales team may affect customer experience, order processing or vendor relations. Our goal is to prevent surprises by helping clients make legal decisions that fit within their overall strategy and culture. BLA also works with its clients’ financial, tax and other professional advisors to ensure that the advice you receive is comprehensive and collaborative. BLA serves clients in a variety of industries, including architecture, engineering, manufacturing & distributing, transportation & freight, technology, communications, marketing & advertising, and consumer products and services. Our clients run the gamut from founders, to franchisees with storefronts throughout the region to mid-size manufacturers and distributors. Regardless of industry or size, each business is unique and at a different stage in its evolution. BLA lawyers provide the right legal strategy for each stage whether the client is a family-owned business transitioning to the next generation, a sophisticated start-up struggling to scale or a mid-size company doubling in size through acquisition. We specialize in helping businesses adapt to their own success. Whether that means negotiating a new office lease, entering new markets or taking on capital, BLA is ready for the pace and variety of your legal needs. Our job is to support your business as you capitalize on new opportunities. Lawyers Who Add Value to Your Business. © Business Law Advisors, LLC. All Rights Reserved.